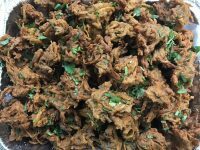 Welcome to Tastebuds Takeout and Catering, where we serve up a delicious mix of authentic Hyderabadi cuisine alongside eclectic Canadian inspired fusion dishes. 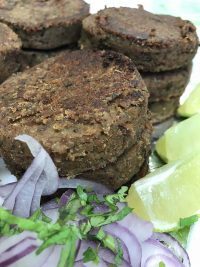 Our menu is a unique blend of Hyderabadi specialties, Indian cuisine staples and Indo-Canadian fusion dishes crafted with care to culinary perfection. Come check us out now! 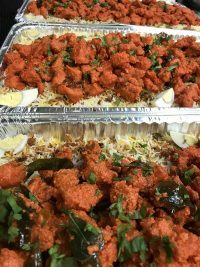 Experience authentic, timeless Hyderabadi cuisine in Edmonton, exclusively at Tastebuds Takeout and Catering. 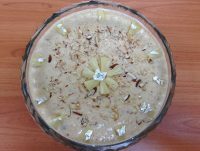 Enjoy Hyderabadi staples like Hyderabadi Dum Biryani, Haleem and Lukhmi. Enjoy delicious Indian cuisine favorites like Butter Chicken, Chicken Tikka Masala and fresh samosas at our takeout restaurant! Try our eclectic range of fusion dishes, blending Indo Canadian influences to create an exciting, delicious mix of flavors. Tastebuds Takeout and Catering is working on signing up for delivery services that will help our food reach our customers across the city of Edmonton. Stay tuned! Taste of Hyderbad in Edmonton. With the most friendly service. Authentic food. Loved it. Best place in Edmonton to get hyderabadi biriyani...also try double ka meetha..very delicious. Chilly bhajji is fantastic.. Recommended restaurant..only drawback is not much place for dine in and food is delayed. Better take out..
had ever tasted as good as the ones that their mother had made in India. Anyone who likes Indian food, and even people that don’t should try Tastebuds, you won’t regret it.